You planned optimized routes and assigned them to your drivers to ensure timely deliveries. You’re happy, thinking that you’ve done your main job and no longer need to worry about it. But, after an hour or so, you get a call from your driver that the vehicle broke down in the middle of the road. And, that in a remote area too! The result is a delay in the courier deliveries, leading to annoyed customers. That won’t be a good sign for your courier business, right? But, you can avoid such instances by having a periodic vehicle maintenance process in place. Remember, a lack of maintenance can cause road mishaps or reduce your vehicles’ performance as well. As per a report, injuries from accidents due to non-maintenance cost around $2 billion a year. And, not maintaining your vehicle can cost as much as $8,000! So, here are six ways you can take care of your vehicle to avoid any kind of glitches. This will help you stay worry free. Read on to learn more. Air filters restrict dirt, dust, and debris that go to your engine. So, it ensures that your vehicle’s engine gets the clean energy needed to turn fuel into power. This improves the engine’s performance and extends the life of your vehicle as well. So, you cannot leave off changing the air filter of your maintenance checklist. You should change the air filter every 12,000 miles or 12 months, whichever comes first. The process is simple. So, you can change it on your own in 10 minutes or hire a mechanic to do it. Remember, it is completely fine if the air filter has a little dirt, as it helps to restrict tiny particles. Many think that consistent problems with starting a car are due to a problem with the battery. But, that’s not always true. It could also be because the spark plugs might not be generating enough sparks. Alternatively, the spark plug might be draining the battery. So, you must change the spark plugs regularly to ensure top efficiency and performance. Ideally, it should be replaced after 30,000 miles, but check your vehicle manual first. When your courier vehicle is on the road, the engine keeps the vehicle moving. And, because there are so many parts that work at the same time, the engine can get hot. It keeps an engine’s components operating smoothly. It keeps the combustion chamber cool. It keeps the varnishes and carbon from building up in your engine. So, it is very important to change the oil regularly to avoid vehicle break downs or engine troubles. The best way to ensure that the engine can offer the optimal performance is to use clean oil. Experts say that the oil should be changed every 3,000 miles. But, with efficiently operating vehicles, you can likely only change it after 5,000 miles. Operate in an area that is dusty, cold or hot. But, it’s not just the oil that needs to be changed. The oil filter is crucial as well, as it sifts out particles to keep contaminants out of the oil. If your oil filter is clogged or dirty, it will allow toxins to hit the engine. This will affect your fuel economy as well as damage the engine. It could also block the flow of the oil to the engine, which could lead to engine failure. So, make sure you change your oil filters whenever you change your oil to protect your engine. Radiator fluid is the most vital part of any vehicle’s cooling system. It is a liquid mixture of water and antifreeze that keeps the engine cool, while it is running. It also protects the engine from getting blocked due to very cold temperatures, such as in the winter. However, over time, dirt and other pollutants can build up in the fluid or the fluid can be acidic. When this happens, you must change the radiator fluid immediately! So, a best practice is to change the radiator fluid periodically. This will ensure that your vehicle’s cooling system functions at its best. Ideally, the fluid should be changed after 24,000 to 36,000 miles or every 24 to 36 months. But, how frequently you should do it may also depend on the areas in which your drivers operate. If they drive through hot temperatures, you may need to change it every year or every 12,000 to 15,000 miles. Brakes are one of the most crucial parts of any vehicle. And, you cannot ignore maintaining them if you’re serious about safety. Drivers and businesses often overlook the need for new brake pads. This might be because they do not see the warning signs of damaged brake pads. The vehicle is taking longer to stop than it should. The vehicle wants to make right- or left-hand turns, while driving or braking. It makes a noisy sound when you apply the brakes. There is a leak or fault in any of the brake lines. There are drops of brake fluid near the wheel. However, it is advisable to replace the brake pads every 20,000 miles. But, courier businesses involve a lot of stop-and-go driving. So, you may need to change it more frequently. According to a report, such defects trigger 63% of road inspections. They also put your vehicles or business under Federal Motor Carrier Safety Administration’s radar. So, it’s important that you have a regular maintenance schedule to avoid such inspections. Especially since they could be a legal hassle later on. Periodical maintenance increases the efficiency of your vehicles and ensures your driver’s safety. Also, if your vehicles don’t face any glitches, your deliveries will never be delayed. So, your customers will be happy and you would be protected from penalties or legal hassles. However, keeping a regular check on every small thing of a vehicle could be a daunting task. So, you may opt for a delivery software or direct store delivery software to simplify and automate this job. Such software plans the routes and tracks how many miles each vehicle has traveled. For example, your one vehicle travels 100 miles a day and you must change the oil every 5,000 miles. The delivery software can show you when the vehicle has already traveled 3,000 miles. So, you can then calculate that you need to change the oil after 20 days. That’s it! You can even use it for the entire vehicle maintenance schedule or to maintain specific parts. So, what other things do you think should you keep track of to ensure optimal vehicle performance? How frequently do you send your vehicles for maintenance? Please feel free to leave your comments below, we’d love to hear from you. I do what I can to maintain the larger components of my car, but I think that most of my repairs are caused by smaller parts that break down. It’s a good thing that you reminded me to check my power steering fluid. There might be something off with my power steering, so I feel that changing the fluid will improve how my car drives. I agree with you… it’s the little things that usually get you in the end. I’m assuming that if more people knew that not maintaining their car could add up to costing them $8000, they would be more likely to take better care of their car. It might be helpful to add find a trustworthy auto repair shop. Even if you’re taking care of your vehicle, there are always unexpected events which require help from a professional for repairs. What you say is true. No matter how diligent you are in maintaining your vehicles, parts will break down eventually. By having a trustworthy auto repair shop on standby will save you time and money. Proper maintenance extends your vehicle life and saves money. You should clean your battery because a dirty battery can discharge across the grime on top of the battery casing. You should also check the terminals, screws, clamps and any other damage or loose connections. I agree with you. Proper maintenance goes a long way. Thanks for sharing your thoughts with us. This is some really good information about auto maintenance. I like that you pointed out that you should switch out that radiator fluid. It does seem like a good thing to be aware of when you are looking to pass a state inspection. Thanks, Ivy! So what other things do you think, you should keep track of to ensure optimal vehicle performance? t is very frustrating to face any kind of car trouble especially when we are in hurry. This incidents can be avoided if we will inspect our car regularly. Basically maintenance of a car can range from basic car maintenance to an overhaul. Your article is composed with many useful tips that everyone should have to follow for proper maintenance of his car. From my point of view, I feel that 4th and 6th point are very important and effective. Though I am following some common tips for my AUDI maintenance but on wards I used to imply some of your tips in order to take some extra care of my car. So, in order to remain safe while driving, everyone should have to take care of their car on a regular basis. That’s awesome. Thanks for sharing your thoughts! How frequently do you send your vehicle/s for maintenance? Brilliant post here, guys. I’m curious what you think about the value of the type of oil you use like a synthetic vs. standard oil or even the partially recycled oil that is becoming more common. Do you think it makes a big difference in the life of a motor? Synthetic oil is not only refined but also distilled, purified and broken down into its basic molecules. This process not only removes more impurities from the crude oil but also enables individual molecules in the oil to be tailored to the demands of modern engines. These customized molecules provide higher levels of protection and performance than conventional oils. We believe it makes a difference in the long run. Like most things in business, small things add up over time. If you can keep your engine running smoother for a few more months before it needs maintenance… you’ve saved yourself some money. But more importantly, you’ve got another operational vehicle in a time where demand for trucks and vans is rising. What are your thoughts which is better? That’s a good tip to change your brake pads regularly enough. They can present a serious safety concern. A good tip is to replace them when they squeal at you- they’re designed to make that noise. Great tip! So what do you think about passing trucking inspections, do you have some advice? Ya, it is quite frustrating to encounter any form of car trouble especially in a hurry situation. These situations can be avoided if the car is inspected and maintained on a regular basis. There are several car maintenance measures that one has to do in order to keep his car at its best. Your blog gives some car maintenance tips which are very useful and helpful. I think it covers up almost every part that needs a maintenance. Honestly, I found the whole content very useful. I would like to suggest that everyone should keep the above in mind and check their car on a regular basis which in tern will help to prolong the lifespan of their car. Thank you so much for sharing such an useful info. You’re welcome and thanks for sharing your thoughts! What type of car do you have and how frequent do you send it for maintenance? Thanks for the tips on taking care of a car. I have never thought about changing the spark plugs before, but now I know I should! Dealing with engine misfires or engine surging is not fun, I’d imagine. It certainly is not. Do you have anything to add on ensuring your vehicle’s optimal performance? What are some of the hassles you’ve encountered when using your vehicle? Thanks for the tips about keeping your vehicle in good shape. I didn’t realize that a vehicle pulling to the right or left while braking could be a sign that you need new brake pads. My car has been doing that, so I will definitely get it fixed. You’re welcome! So what happened to your car now, you have it checked yet? Regular maintenance is very much essential for keeping the car on the road and undoubtedly I can say that regular maintenance is surely a wise investment. It is just because cars that are well taken care of are safer, get better gas mileage, perform better and last longer. Here, in the following I want to suggest some of the car maintenance tips. 1)Tire pressure should be checked regularly. 2)Regular oil change is very important to improve the overall performance of car. 3)Fuel filter should be replaced in every 24000 miles. 4)Refill and flush cooling system by following user manual. 5)Check windshield wiper and exterior of car. Etc. So, on a final note I can say that regular maintenance is very importance to prolong the life span of car. Thank you for sharing. Awesome tips! Thanks for sharing as well. So what are some of the issues you encounter with your vehicle/s? How often do you send it for maintenance? With proper and regular maintenance of our vehicle, we can easily keep them in a good condition. 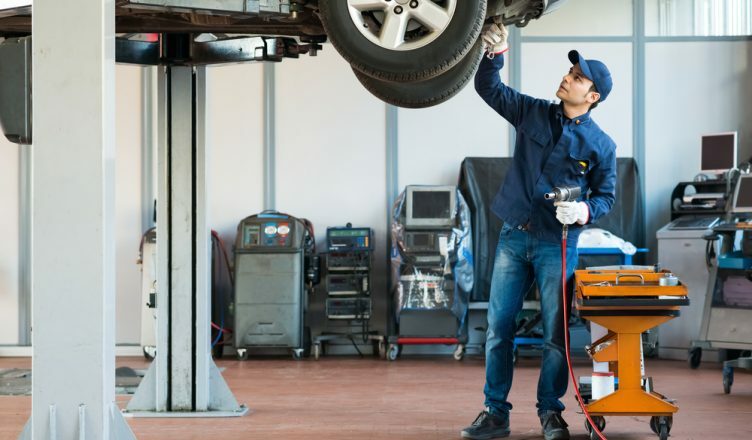 A vehicle definitely requires proper repair and maintenance at the right time, otherwise, vehicle owners are facing different types of problems. As a vehicle owner, I would like to follow different repair and maintenance instructions from experts, so that I can easily skip the error in the middle of the road which caused due to vehicle breakdown. Thanks for this wonderful vehicle repair instructions. You’re welcome! Thanks for sharing your thoughts as well. Just as you point out, the air filters n your car need to be cleaned or replaced every so often. Most people forget about them, and in turn don’t get the most out of their car’s engine. I should probably go check my air filter before I take my family on a road trip next month. Thanks for all the great car safety tips. Awesome. Glad you liked our post. Feel free to check out our other articles. Thanks! Summer time is basically a travel time. Most of the car owners know how to winterize their car but they may not know how to summer-ize it. So, before hitting the road during the summer, one can take several simple precautions to keep his family safe and secure and also save money at the pump. It is also a fact that extreme heats and long drives can be tough on the cars. Cracked hoses, leaked radiators, under inflated tires during the summer not only lowers the fuel efficiency but also may lead to total breakdown. I would k=like to say thank you for sharing such useful maintenance tips. Thanks for sharing your thoughts as well! So how do you “summer-ize” your vehicle? How often do you send your vehicle/s for maintenance? You’re welcome! What do you like the most about the article? Great piece of information! This is some really good information about auto repair and maintenance services. I like that you pointed out clearly every point of vehicles maintenance tips. Thank you so much for sharing this post with us . How are you doing? What did you like the most about the article? In order to keep your car in a good working condition, you have to follow few car maintenance guidelines. Wherever you go, the vehicle experts must suggest you the same tips that are given on the post here. Thanks the author for his/her technical prowess. Brakes, air filter, engine oil, spark plug, battery and windshield should be in good condition, then your vehicle will get a thumbs up sign from skilled experts. You must visit to a reputable garage that will check all of these. Regular checks result in increasing the efficiency of your vehicle. Thanks for your feedback. What kind of vehicle are you using? 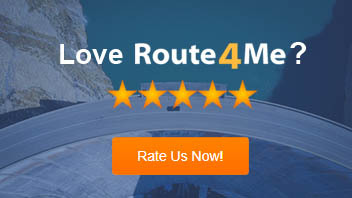 Have you tried a route planning device? That’s a good point that periodic maintenance increases the efficiency and safety of your vehicle. Bare brake pads are going to make your car spend more energy and stopping and take longer. Make sure to find an international parts seller if you have a foreign car so you can stay on top of maintenance regardless of vehicle. I like that you mentioned paying attention to the sound your brakes are making. My son loves to blast his music while driving and that is going to make it hard for him to hear issues. I try and tell him to drive once and while with the music off to check for strange noises. Yes, that is true. It’s good to check if the car is making weird noises from time to time to make sure it’s in top condition. What kind of vehicle is your son driving? 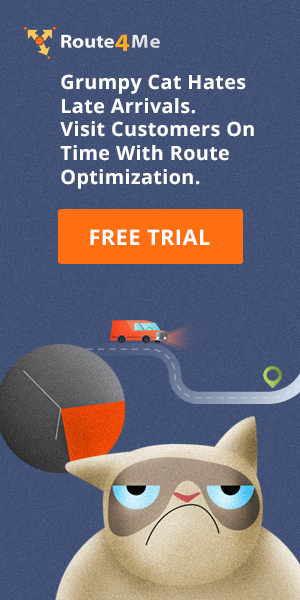 Do you use a route optimization software? I hadn’t considered that the spark plug could be draining the battery. Since the battery is so important to a car, I can see how you want to make sure your spark plugs are properly working and replace them if they aren’t. After all, you want to make sure your vehicle is running as efficiently as it can be. That’s correct, Taylor. How often do you bring your vehicle/s for maintenance? That’s good to pay attention to how long your car takes to stop. I can see how that indicates your brakes state of repair. It’s important to stay on top of your brake care because they directly affect the safety of your car. That’s correct. What type of vehicle are you using, by the way? I didn’t realize that dirt and pollutants could get into the radiator fluid and turn it into an acid. That seems like it would be a pretty big problem that you would want to get taken care of especially if you have an imported car that may have cost more. Taking it to a foreign auto mechanic would probably be the best way to get the repairs needed. That is true. What type of vehicle are you using and how do you go about its maintenance? I loved how you mentioned that you are able to do some of these things yourself. However, I feel like if there’s any hesitancy or don’t feel confident, it might be better to go to a mechanic. From my perspective, it just seems less stressful and you can most likely be confident that your vehicle is in good hands. Indeed, turning to a mechanic would be a wise choice, especially for inexperienced drivers. What type of vehicle/s are you using? Thanks for the great tips! It’s amazing to know how neglecting a spark plug can cause issues like misfiring, surging, and even faults in acceleration. If my car would have other issues I can’t fix, I’d be sure to take it to the professionals. Thanks for the great car maintenance tips here. I like how you mentioned that replacing the spark plugs is something I should do to help the car start. I’m pretty sure my Honda has never had the spark plugs changed, and it has over 100,000 miles. That’s bad, isn’t it? I’m not a car savvy person, and these tips would certainly be helpful. I agree that brakes are one of the most crucial parts of any vehicle. I’ll make sure to change it more frequently. Having it checked by a professional would also be a good option for me. Thanks for sharing! This was a good read! Thank you for writing these best vehicle maintenance tips on this post. I have founded best info from this article. I liked that you had mentioned that it can be important to make sure you replace all of the fluids often to make sure you aren’t running into any serious problems. My wife’s vehicle has been having a few issues and I’ve been worried that it’s going to become a lot larger of a problem. I’ll have to make sure all of the fluids are replaced currently, but if that doesn’t work, I’ll have to start looking around for a mechanic in the area that can fix the car. I think that what you had to say here about having your car’s oil changed was the most important thing here. As you mentioned, changing the oil has some really good benefits like keeping the engine operating smoothly, keeping the combustion chamber cool, and keeping the varnishes and carbon from building up in the engine. My son is thinking about buying his first car, and so I think that it would be really important for him to know how to maintain it. Thanks again for the help, and I will tell him to get his oil changed every couple months! I appreciate what you said about maintaining/replacing spark plugs and that they should be changed every 30,000 miles. I have been experiencing issues with the car skipping some cylinders and the engine surging. I think that I will have to take my car to a mechanic to get the spark plugs replaced and hopefully that will fix the issue. I like how the importance of brake pads was emphasized. In my personal vehicle maintenance, this is something I’ve often put off longer than I should have. Now that I know the specific recommended frequency (every 20,000 miles), it’ll be easier for me to keep track of and stay on top of! As you said, the air filters and your car need to be cleaned or replaced every so often. Most people forget about them, and in turn do not get the most out of their car’s engine. they should probably go check their air filter before they take their family on a road trip next month. Thanks for all the great car safety tips. I appreciated it when you said that the brake pads should always be checked and that they are one of the most crucial parts to be considered in order to keep the vehicle safe to drive. It has been a while since they got the work truck maintained so I will mention this to them. We have to be sure that it’s safe before we take it for a 300 mile long trip to the next town next week. Thanks for the tips on how you can properly maintain your vehicle and possibly prolong its life. To me, the best thing you can do is to change the oil and ensure that there is enough in there to properly lubricate the engine. It’s probably a good idea to find a good auto shop that you can trust to do all your repairs and maintenance. With my car, I am pretty sure that I am past due for an oil change. Now I don’t want to try it myself and potentially mess something up. So with that, I’ll probably go and get it done by someone who knows what they are doing. I’m a bit over the 5,000 mile mark as you did mention that you can change it then, so I think I should be fine. If you want to long last the vehicle you can maintain the spark plugs or change it when it is necessary to change it and also by regular checking it by the mechanic is very important as mechanics are proficient in this field and could check those places where you don’t have the knowledge in it.